The Mississippi Department of Revenue (DOR) and Department of Public Safety (DPS) both offer a variety of vehicle and driver forms online, respectively. You can download PDF versions of these forms below, by using the free Adobe Reader. Remember, some forms may only be available in person at your local tax collector's or DPS office. Also, be sure to consult our MS driver and motorcycle manuals. Department of Revenue for vehicle-related inquiries at (601) 923-7100. Department of Public Safety for driver's license and ID questions at (601) 987-1212. Submit to the Department of Public Safety when applying for a special MS driver's license or ID card indicating your diabetic condition. Must be completed by a doctor. MS Department of Revenue affidavit to repossess a car with a lien that hasn't been satisfied. Must be notarized. Submit to the DOR to prove ownership of a vehicle when applying for an MS title if the car's original title is not available. Must be notarized. To apply for a rebuilt Mississippi title, you must submit this vehicle inspection form to the Department of Revenue. Must be completed by a certified salvage inspector. Record OR transfer a lien on a Mississippi vehicle title. Submit this completed bond form to the DOR to title a vehicle with an attached security interest. You'll receive this form after your vehicle passes Mississippi's required salvage vehicle inspection for rebuilt titles. Form not available online. Must be obtained from a certified inspector. Apply for an original, transferred, renewed, OR duplicate MS vessel registration. Complete this affidavit if transferring ownership of a vehicle with a foreclosed lien in Mississippi. Must be notarized. Use this form to state the mileage on a vehicle you're selling in Mississippi. Use this DOR form to assign someone else power of attorney to transfer ownership of your vehicle. Requires notarization. As part of applying for a MS commercial driver's license, submit this completed medical fitness report to the DPS. Form must be filled out by a doctor. pply for a permanent OR temporary MS disabled parking placard OR license plate tag with the DOR. Must be completed by a physician. 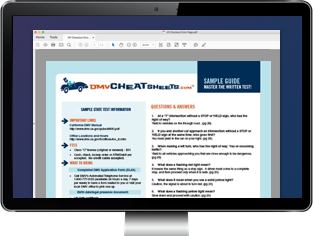 Looking for DPS & MVL Forms in another state?